How do you prep for your trips? I have a basic template in my preparations before I leave...because, once the plane's wheels hit the tarmac or I park my car, there are non-stop days. 2) Research any well-known or preferably lesser-known landmarks or history institutions or people indiginous to the area. 3) Research and local food favorites and locations. On my upcoming trip to Kauai, my most fav food is a classic food truck "plate lunch brah". Typically some mahi mahi, white sticky rice and kimchee. 4) Research if their are any noteworthy events happening. 5) Research any local shopping "things" worth buying locally. Living on Oahu for many years, finding and wearing your fav Reyn Spooner hawaiian shirt was mandatory. 7) And with my everyday occurence, mentally come up with a pretty solid shot list and sometimes I actually compose that and save it to my phone. So, for my upcoming trip to Kauai, I thought this was perfect prep! Also, when I am traveling to shoot surfing, and, even though I am not really looking to sell the images, people always ask. So, I have a Vegas Surf portal and I just created some new fun stickers to give away if anyone asks. EVERYONE LOVES STICKERS. LOL Not that you would care, but the stickers have a metallic sheen so the sticker belows looks badazz in person. If you are not familiar with Google My Maps....check it out....great app for my phone and it keeps me on track. Belows is a screen snag of my hit list for Kauai. And, nowadays I could probably source my eventual Reyn Spooner shirt on the internet, but, it is one of those things for me I like to buy local for memories sake. That's pretty cool - and I had no idea that it existed! I hope you plan to post some of your photos here, I'm looking forward to seeing Kauai through your eyes! BTW...my best workflow is to create the maps on my desktop and then it automatically populates the app that I can reference later. That's awesome. What about places to stay? I don't know what it is, but I've never been a man of resorts. I crave local color. I've always been about the bed & breakfasts, ones with personality. 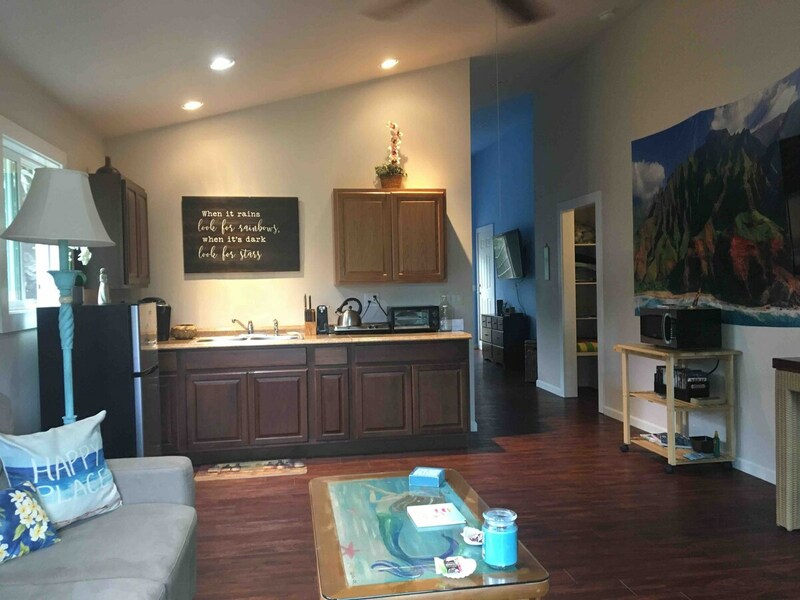 Dude...awesome shots.....I am actually staying at a buddies crib so I did not add that to my current list....but, yep, that probably is #2 on my template list...and, I am with you...I like drooling about doing the super pimpomatic lodging but, comfy and casual always wins. 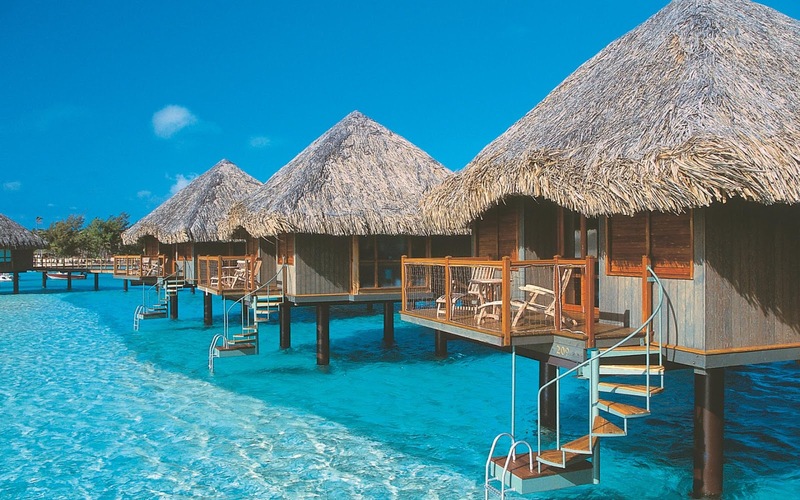 Oh, actually... A water hut for a week in Tahiti, totally on my bucket list! That's my preference as well, although depending on where I am traveling I may also choose to stay in hostels. I did a lot of that in Iceland - my favorite stay there was in a small hostel in a small village on a very rainy night. I believe I was the only person from North America. There were a couple from Asia and most from scattered locations across Europe. The rain and lack of restaurants in the area meant that most people staying in, populating the shared space and sharing. Lucky for me the folks from Europe were very comfortable speaking in English. Me too! I've never been to Hawai'i but I've heard wonderful things.